Dauphinais spent a decade in the Navy working in Special Operations after graduating from Boston College. He was deployed overseas five times and traveled all over the world to war-torn countries. 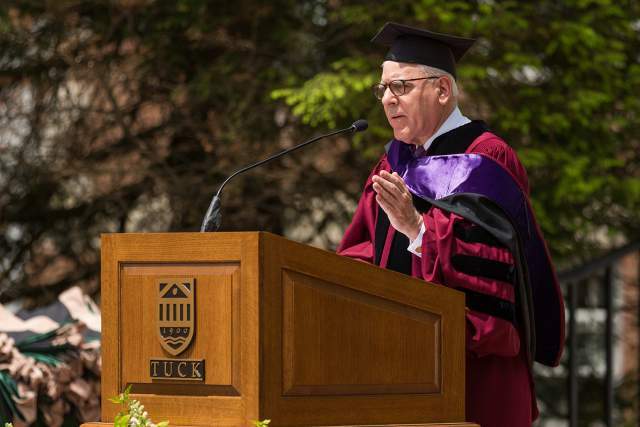 But as he explained to the Tuck graduating class of 2018, despite all this experience, he still found himself humbled when he arrived at Tuck to begin his education. In his remarks, Dauphinais recalled an experience he had in 2008 that got him through this tough period. Although he was just 25, he was leading a small Seal team on a humanitarian mission in the Philippines. One day, while traveling on a narrow, winding road, Dauphinais noticed a hand-painted sign. Dauphinais found solace in Tuck’s close-knit community. Inspired by his classmates’ brave efforts, Dauphinais sailed through this difficult time by tapping into his own inner strength. On graduation day, he encouraged his fellow Tuckies to do the same as they set off to take on the world. 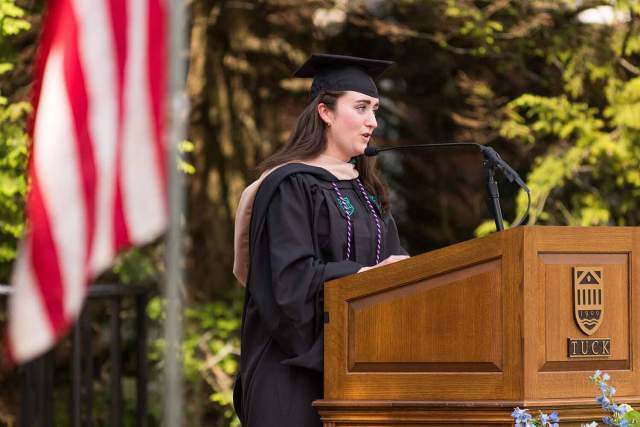 Prior to Tuck, Dauphinais spent a decade in the Navy working in Special Operations after graduating from Boston College. 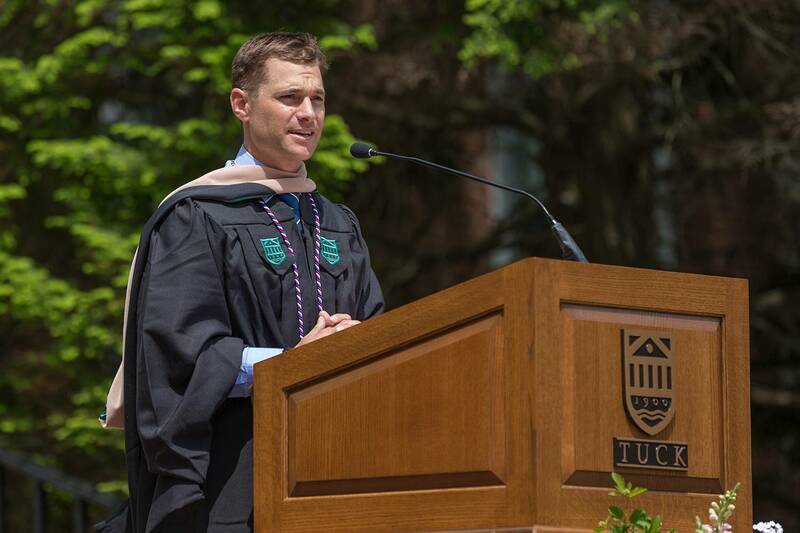 He is receiving a joint Masters in Business Administration and Masters in Public Administration program between Tuck and Harvard’s Kennedy School of Government, with a specific interest in the public and private intersection of energy.